The cold winter weather is over and everyone can’t wait to get out and enjoy the warmer weather again. The best way to do that is by going on spring break. There are many great places to visit during your spring break trip, however, one of the best places to visit in spring is the Smoky Mountains. The Smoky Mountains will provide you with beautiful views and amazing things to do, and you won’t want to miss out on any of it. 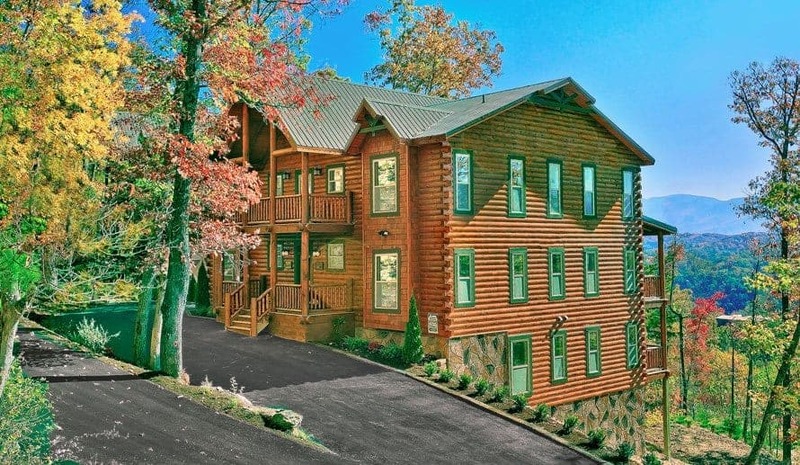 The best way to not miss out on spring in the Smoky Mountains is by staying in our large Smoky Mountain cabins that will provide you with everything you are looking for in a lodging location. Before you make a decision on where you and your group are going to stay for spring break, you need to decide on what you want to do during your trip to the Smoky Mountains. By figuring out what you want to do and where all of these great places are located, you can find a place to stay close to them. 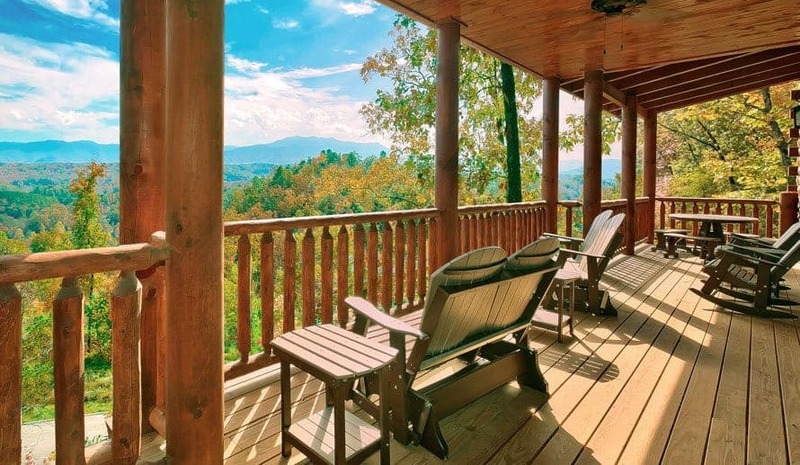 Our large Smoky Mountain cabins are located near all the very best places to visit in the Smoky Mountains, so by staying in one of our cabins you will never have to travel far to all the great locations in the Smoky Mountains. After an exciting day of exploring the Smoky Mountains, there is nothing better than getting to relax and getting to enjoy time with your group of friends or family. Our large Smoky Mountain cabins will satisfy all of your relaxing needs. 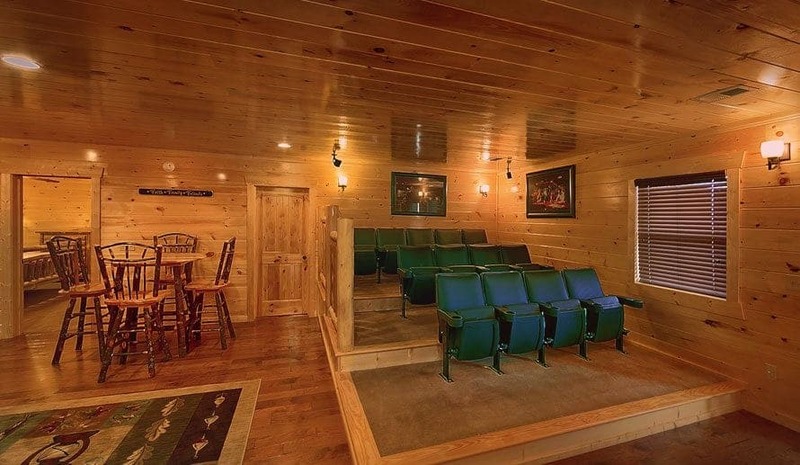 Many of our large cabin rentals come with beautiful mountain views, a fully equipped kitchen, a theater room, a private hot tub and more. So you and your group will be able to relax and spend time together in one of the most beautiful places in the world in comfort. Of course, all that exploring can really work up an appetite. When you and your group aren’t cooking in at your large cabin, there are many great restaurants throughout the area that are close to our large Smoky Mountain cabins. Some of the best local restaurants include the Alamo Steakhouse, the Smoky Mountain Brewery and the Greenbrier Restaurant. At all of these locations, you will get to enjoy some of the most delicious food that you have ever tasted. Another great thing that you and your group can do together during your spring break in the Smoky Mountains is to check out the amazing outlet malls in the area. These outlet malls will provide you will many amazing shopping options that will provide you with great deals that you don’t want to miss out on. Spring break is a fun and exciting time of the year, where you get to enjoy time with the people you care about the most while getting to spend time in the warmer weather. Schedule your spring break today, by booking one of our large Smoky Mountain cabins for your trip.